At the weekend we went to Weymouth for the very first time there was so much to see and do we tried to cram in as much as we could in a short space of time. One of the attractions we visited was the Nothe Fort which I would highly recommend, it cost £18 for the four of us which is good value for the amount of time you could spend at the attraction. Mind you we had to view it quite quickly as we had just over 1 hour and a half left before closing time because we found the fort late in the day unfortunately. The ticket did give us entrance to the fort for the whole year though at that price, so we can come back again if we are in the area in the future. 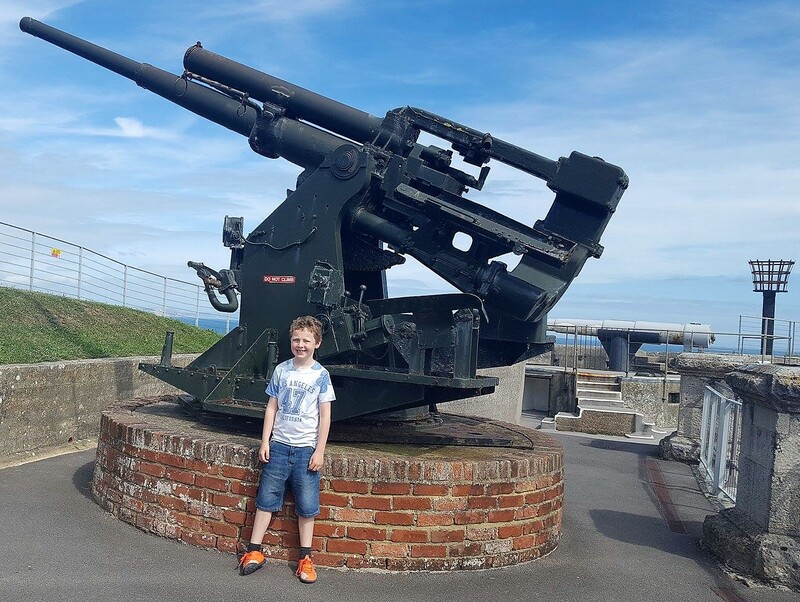 The staff were very friendly, the boys were told about the mice they could spot around the fort and given a clue to start them off, at the end they were awarded with a certificate for their mouse spotting skills. They found 46 each but I think there must be many more as the nice lady said that was a good start. The mice are celebrating 25 years at the fort this year, so we saw a sweet birthday mouse with a balloon! The mice are funny some of them are wearing little hats relating to the room you spot them in. How many mice can you spot in the picture below? 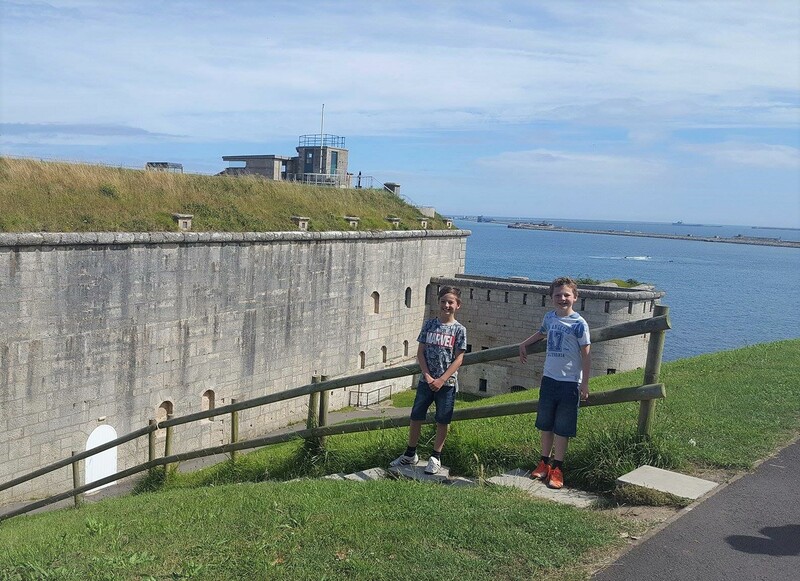 Even without the mice spotting the boys were very enthusiastic to be here, its quite an educational experience, we watched a short film about the purpose of Nothe Fort and that helped us make sense of everything. We learnt about how they kept gun powder and how it was handled safely, we also walked through the Nuclear Shelter (hubbie decided this is where we will hide in the case of a Zombie Apocalypse, although I think it would be to damp personally!). Apparently it could sleep thirty people though and had ventilation and communication services - worth knowing just in case! You really do learn so much about history exploring the corridors and reading the exhibits. 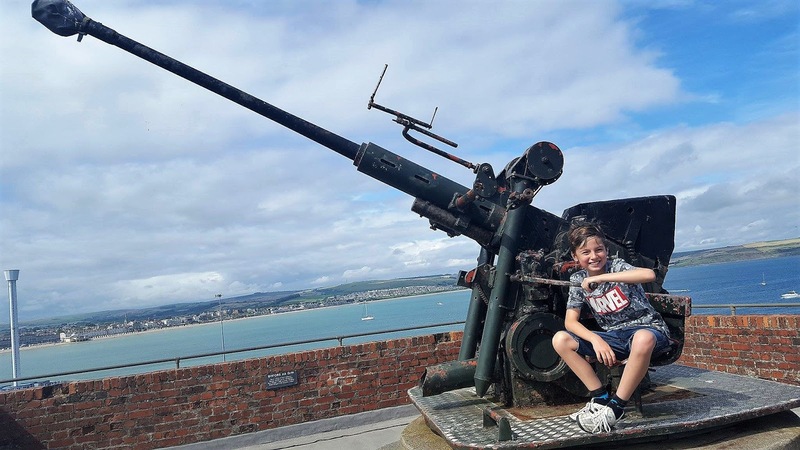 The boys also liked seeing the giant guns mounted on the top walls and pretending to operate one of them. We all got a bit creeped out walking through the ghost corridor, its very spooky and you do wonder if its really haunted!!! 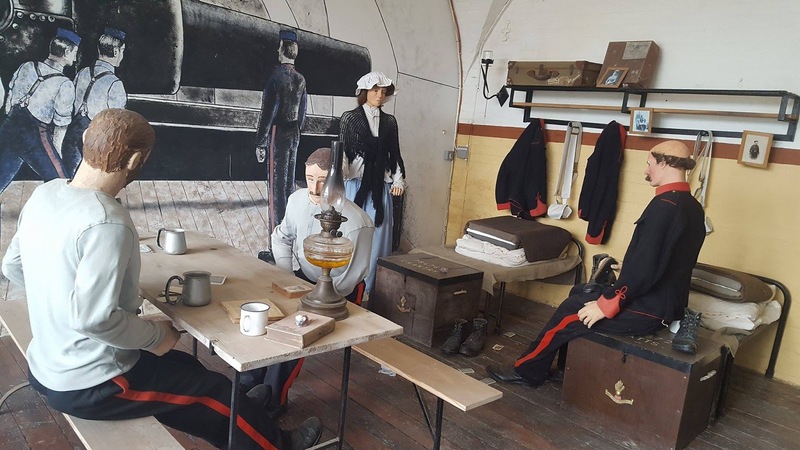 Apparently Nothe Fort is one of the most haunted sites in the South Coast, I think if I had known that before taking the lead walking down the corridor I might not have been so brave... the underground passages are quite eerie and atmospheric. You do get a funny feeling walking through them.